Remember Frank Lampard’s scandalous “goal” against Germany in the crucial knockout stages of the 2010 FIFA World Cup? That’s the same goal that made every England fan furious due to an egregious display of refereeing that ultimately led it to be unfairly called off? Well, I don’t… because I was supporting Germany. However, the vicissitudes of football, bad refereeing and, most importantly, luck’s fickle nature could one day see Germany suffer a similar injustice. 1. 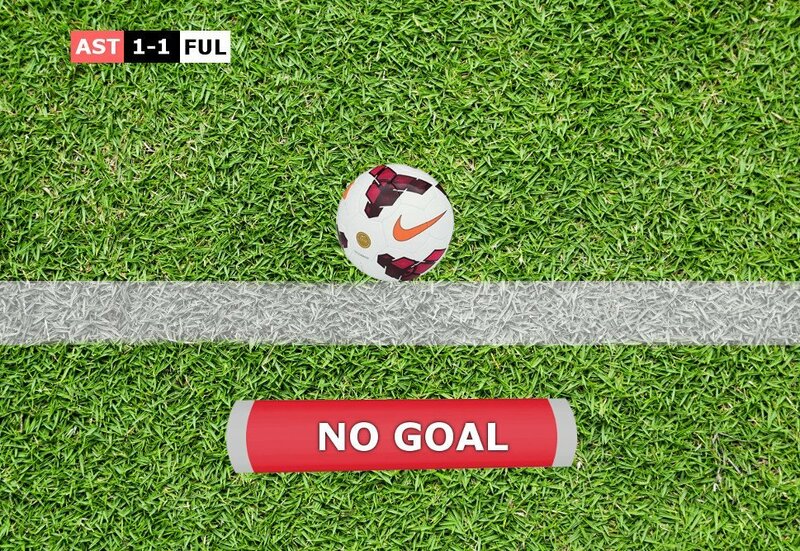 The goal was disallowed, even though the ball quite clearly crossed the line. 2. Lampard’s affronted reaction to the decision. One must often be reminded that referees must make decisions in a split second, whether it be calling a last-minute penalty or deciding whether a valiant defender’s clearance off the line wasn’t actually off it, but from behind it. To ardent football fans, these decisions are a matter of life and death. They can turn the game on its head or shut the window on any ray of hope that might spark a heroic comeback. Anyone who witnessed the ricocheted ball crossing the white line did so from the comfort zone of a lofty couch and a television that provides a vantage point to every corner on the pitch. Add to that our access to the slow-motion replays that follow a controversial event, eliminating any remaining traces of indecision. The referee decides in the heat of the moment, sometimes from yards away, his view blocked amidst the flailing bodies. Still, he must be unprejudiced, despite the incoming spate of suggestions from a prejudiced crowd. His alacrity is sometimes less revered and often taken for granted. 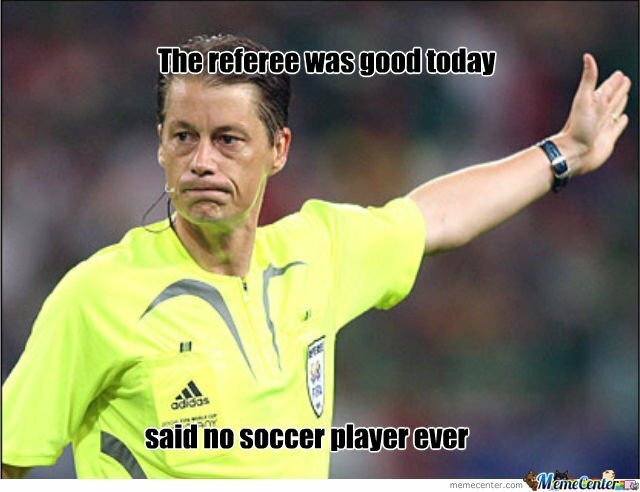 The act of accusing the referee of being impotent or unjust is extremely unfair to the referee, given his limitations. 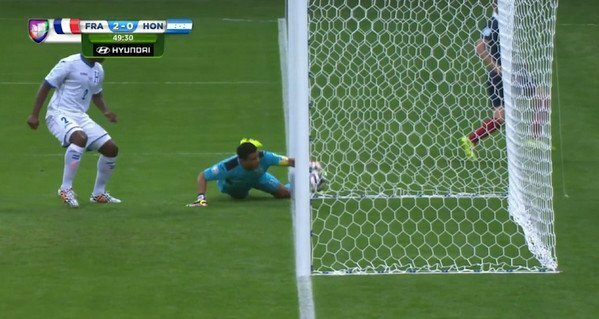 This is where Goal-Line Technology (GLT) comes handy. There’s no single technology called the Goal-Line Technology or System (although, due to the substantial creativity required to develop the name, I doubt this name would’ve crossed their minds), but the technology is implemented in a few different ways. Choosing a variant relies on many factors, such as apparatus cost and installation expenditure, or the time required to analyze the dynamics and make a decision. This bundle of technologies relies either on physical cameras tracking the ball or a changing magnetic field. The Hawk Eye technology is the most high-profile system amongst these varying technologies. It uses fourteen sophisticated cameras placed around the stadium at different positions pointing towards the two firm goal posts, seven focused on each. This technology isn’t something novel, and has been widely used in other sports for more than a decade, most noticeably in cricket, tennis and snooker. The high-speed cameras track the ball with high accuracy and use triangulation to calculate its precise position relative to the goal line. Triangulation is a geometric technique of calculating the distance and position to and of, respectively, an unknown point with the help of two known points. As the name suggests, the system forms triangles between these three points and uses the angles between them to determine the whereabouts of the third unknown. The system software then creates a 3D image of the ball relative to the line. This technology can produce reliable results even when the view of some cameras is obstructed by players’ bodies. This is because only three of them are required to implement triangulation and generate an image. Therefore, even if the view of a few cameras is hindered, the others can take over seamlessly. The software calculates the ball’s location in each frame by identifying the pixels that correspond to the ball. A better perspective of how meticulously competent these cameras are can be acquired when you consider that a kicked football flies through the air at an average of 120 km/hr! 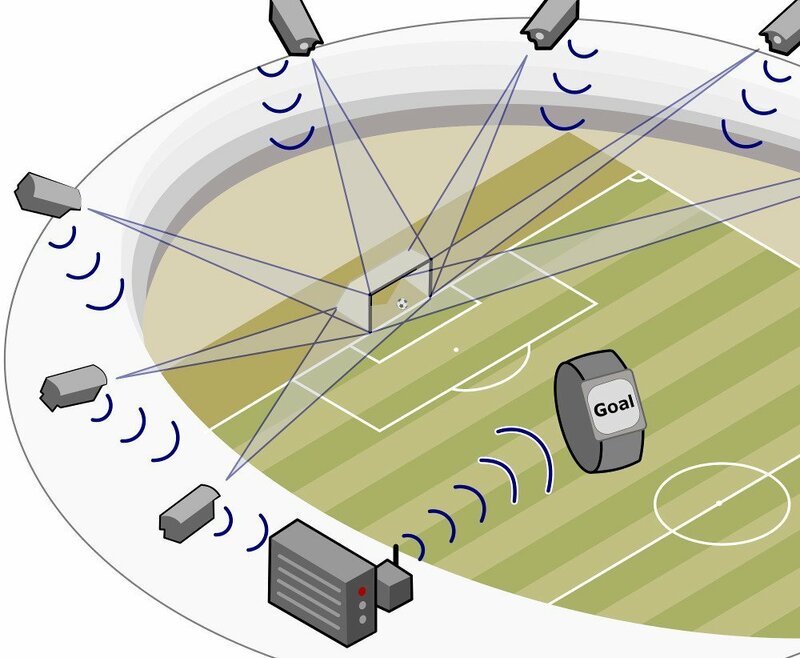 If the ball fully crosses the goalmouth, an encrypted signal is transmitted to the referee via a watch or an earpiece within half of a second, alerting them to a goal. Remember, the ball must fully cross the line for it to count as a goal. Hawk eye cameras also allow for evaluating and simulating trajectories of an object if it had been allowed to continue its motion or if its motion hadn’t been interrupted by an obstacle. For instance, the simulated trajectory of a cricket ball can determine whether it would have hit the stumps had it not hit the batsman first. This Hawk eye system was first featured in the 2013-2014 Premier League in the U.K. Since then, it has also been adopted by the other Ivy leagues of football: Bundesliga, La Liga and Serie-A. Similar to the Hawk Eye technology, Goal Control 4-D uses 14 high-speed cameras installed around the stadium pointing at the goalposts. Seven cameras are dedicated to each frame. They calculate the ball’s position and trajectory to eliminate the ambiguity regarding the ball crossing the goal line. One major limitation of this system is the high cost of implementation. Even though it was used in the 2014 World Cup, it was dismissed by the top-flight leagues due to its higher cost. 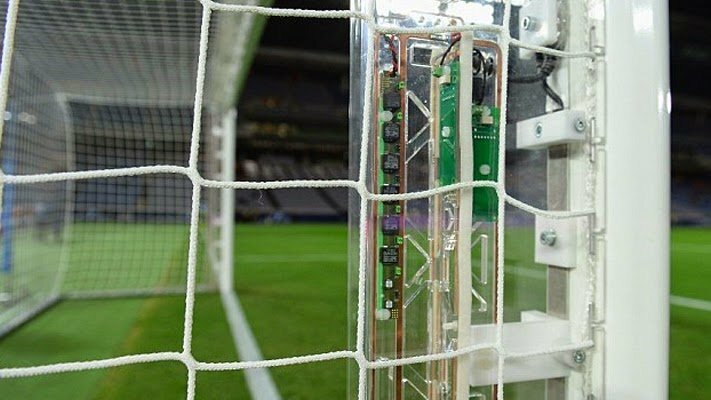 Another technology that is not widely known is the Goalminder, which uses cameras mounted on the insides of the posts, rather than around the stadium, to track the ball. Produced by the German technology giant Cairos Technologies AG, partnering with Adidas, this technology uses a magnetic field to track a ball, inside of which is a suspended electronic sensor. Thin wires carrying electric current are buried around the penalty area and behind the goal line to form a grid. Adidas specially designed a ball that could not only suspend a delicate sensor inside it, but also withstand vigorous kicks without suffering any harm. A moving ball impacts the uniform magnetic field due to the interference between copper wires and the magnetic field. The ripple is transmitted through the grid to a computer, which decides whether the ball crossed the line or not. A confirmed break in is instantaneously followed by a goal alert on the ref’s watch. However, there have been doubts over the accuracy of its results and speed. This technology also uses a passive electronic circuit implanted in the ball that excites a low-frequency magnetic field covering the entire goalmouth as the ball whizzes past it. The electronic circuit is composed of three copper coils in a bunch that is attached between the bladder and surface panel. The antennas generating this magnetic field are mounted on the crossbar and parallel goalposts. Again, as soon as the ball crosses the line, the antennas sense a change in their magnetic fields and relay the data to a computer, which decides whether the ball has crossed the line or not. If it has, an alert signaling a goal is transmitted to the referee within half a second. The 2012 Club World Cup was the first tournament to implement this technology. Despite their assistance, Goal-Line Technologies are still frowned upon in some circles. This disdain is partly due to the imminent erosion of the human element, and partly because the results are sometimes confusing or nonsensical. For example, in the game between France and Honduras during the 2014 World Cup, a goal signal was alerted, even though the ball didn’t fully cross the line. This caused a lot of confusion amongst coaches and commentators who were watching the replays. Recently, a few leagues have taken a further step and recruited review systems that allow a referee to look back at his previous decisions. This could allow him to actually fix his mistakes or ask for help when in doubt, even though it might slow down the game’s pace. These sort of halts in a fast-moving game has bothered fans and players equally. The new technology promises to remove the slightest of human biases and with them, the errors imposed by far away, unsighted refereeing. However, at the same time, it transitions the sport to an impassive computer-judged activity. Put it this way, if we make sure that absolutely nothing can go wrong, what’s the difference between a game of football and a (video) game of football?